We talk to a lot of parents on a daily basis who are worried about whether or not their children’s teeth are growing crooked. They are concerned about a number of things- will their child be able to chew and eat comfortably, whether they will be teased at school, how they will look in photos and how the appearance of their child’s teeth may affect their confidence as they go through school. Even if it will affect their job prospects. When’s the time to worry about your child’s smile and what should you be looking out for as their face develops? At what age should I have my child’s bite checked? Your oral health professional, either your dentist or oral health therapist, will assess your child’s bite at every routine examination and will be able to advise you if any potential problems. If it has been a while since your child has visited the dentist it is important to establish a regular routine. You may find your oral health professional refers you for a consultation between the ages of 7-10 years. Although treatment may not be started straight away this allows both the orthodontist and your family to plan for the treatment and fit it in with the family budget. At what age is treatment carried out? Treatment is generally timed to occur during the period of rapid growth at ages 12-14 years. In some cases early treatment is indicated when children's teeth are first coming through, and in other cases it is delayed to allow for the lower jaw to finish growing. What type of braces are available? 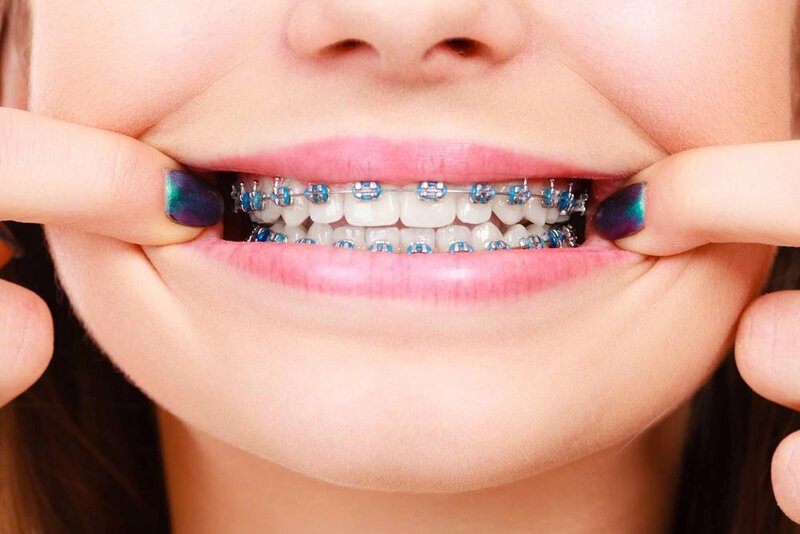 There are several kinds of braces available - normal braces, clear ceramic brackets (that are more discrete) and even braces that are fitted behind the teeth to be completely hidden, SureSmile. Sometimes clear plastic aligners can be used however these have some limitations. How do I chose who to straighten my child’s teeth? When it comes to achieving the best smile possible, you want to make sure the person providing the treatment has the the right level of expertise. These days many general dentists are providing treatment to straighten teeth, however a specialist orthodontist has a minimum of three years post graduate training. Having orthodontic treatment provided by a registered orthodontist ensures that your child has a smile that lasts a lifetime and gives you the peace of mind you are doing the very best for them. At Best St Dental we are fortunate to have the services of Dr Charles Daniels from North Sydney Orthodontics. We have worked with Charles for more than ten years and he has provided advice and treatment to staff members and their families, including Dr Morgan’s daughters. please call the practice on 02 6921 5799.